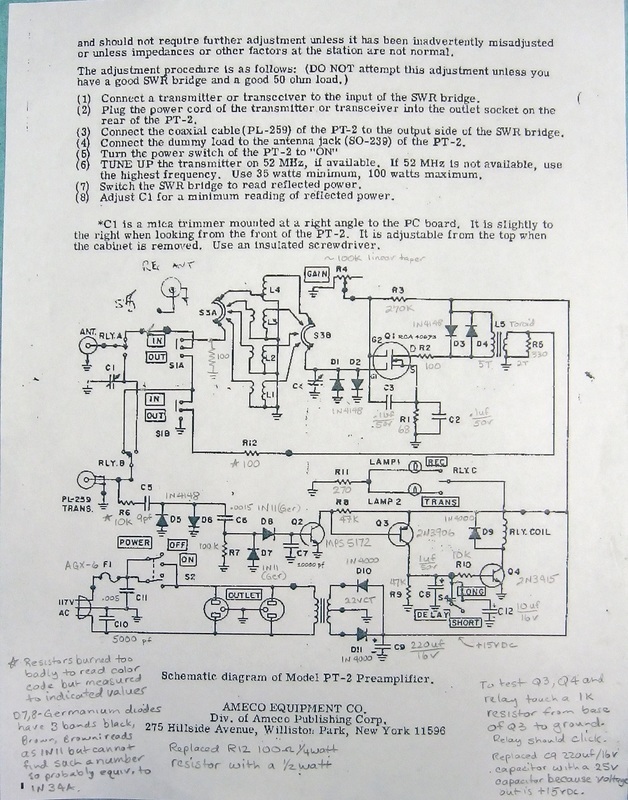 The PT-2 is a RF preamp covering 1.8 to 54 MHz. 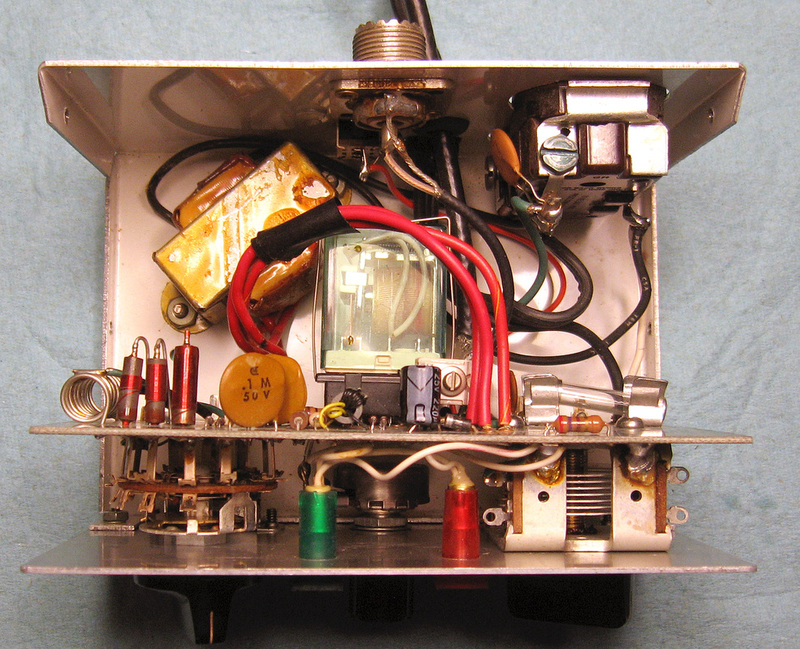 It is designed for a transceiver but works equally well with just a receiver. 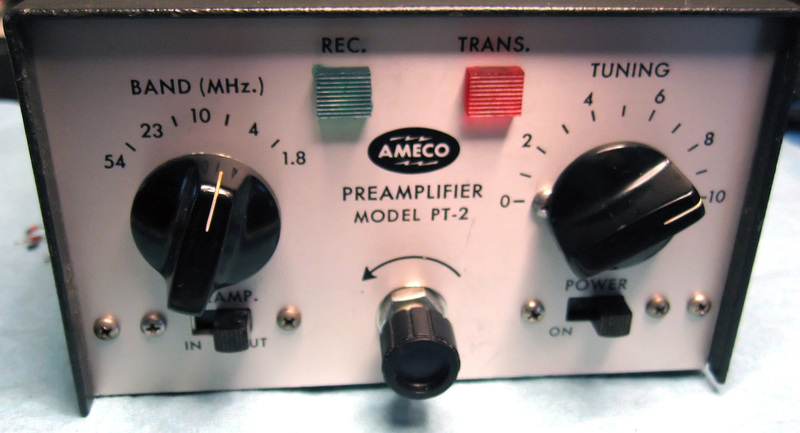 I purchased this preamp on eBay and it was advertised as working. However, it's getting to be a rare day I ever get anything off eBay that actually works as advertised. 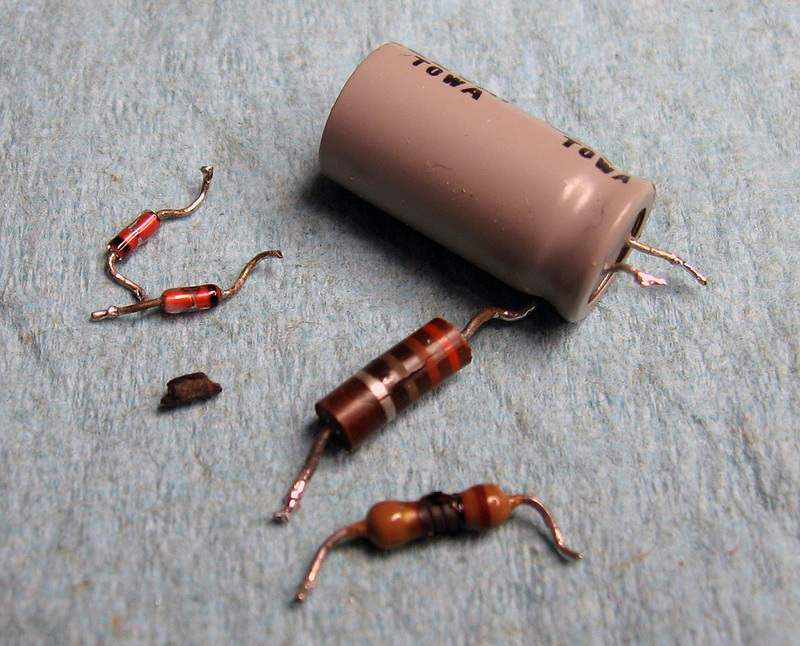 I replaced 6 components to get it back in proper working order: three burned resistors (R5, 6, 12), two bad 1N4148 diodes (D3,4) and the power supply electrolytic filter capacitor (C9). I upped the working voltage of the cap; the original was rated at 16 volts but the power supply voltage is +15v. That's too close for comfort so I changed it to a 25-volt cap. Also, half the split shaft of the gain control was broken off, so the knob would not stay put. But otherwise it was in perfect operating condition. 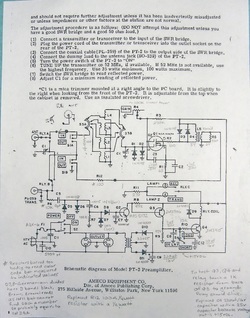 This is a MOSFET RF preamplifier. The parts replaced to get the preamp working again. The little black lump below the two diodes is all that remains of resistor R12. It kinda crumbled when I unsoldered and removed it. Good thing I measured the value before trying to remove it.